Boiledbeans » First T-Shirts, Now this? This is what happens when you let scientists do whatever they want. What is this? glowing cats shed light on Aids. 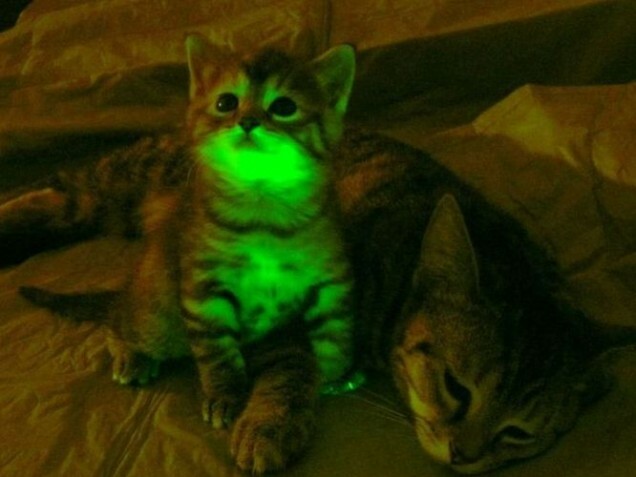 Glow in the Dark cat… Genetically modified cat.